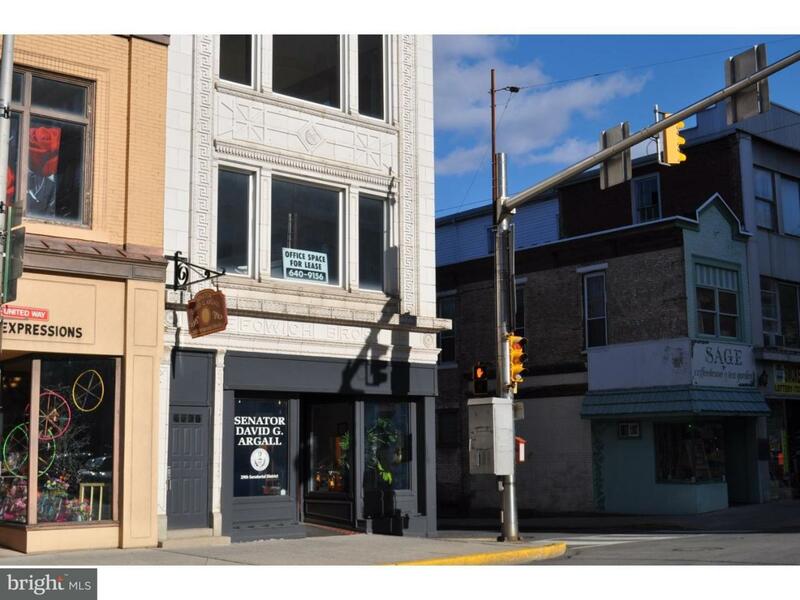 Highly Visible location with great views of Pottsville City. Two (2) 850 square foot units positioned on the second and third floor overlooking Centre Street and Market Street. $700.00 per month per floor. Take one or both floors. Convenient quick access entry from Centre Street. This commercial building is in the center of action of downtown Pottsville. Private Rest Room with private office and large open area with excellent window exposure. Recent full renovation to this office, service or retail location. Price includes normal sewer, water and trash. Exterior common area maintenance, Real Estate Taxes and building insurance. Short distance to public parking garage. Tenant responsible for separate metered electric or prorated. Building also offered for sale $175,000.00 Sale MLS #6942839 Call Agent for details.